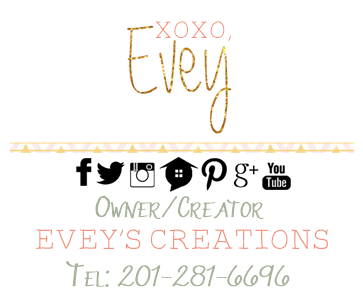 If you are new to these parts, welcome! A new month can only mean one thing around here...new Fab Furniture Flippin' Contest™ (FFFC)! What's the FFFC™ you ask? Well, I'll tell you! 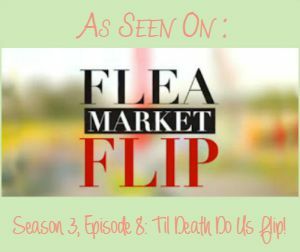 It's a monthly sponsored contest for furniture flippin' bloggers where said bloggers compete to win a fab prize by that month's fab sponsor! 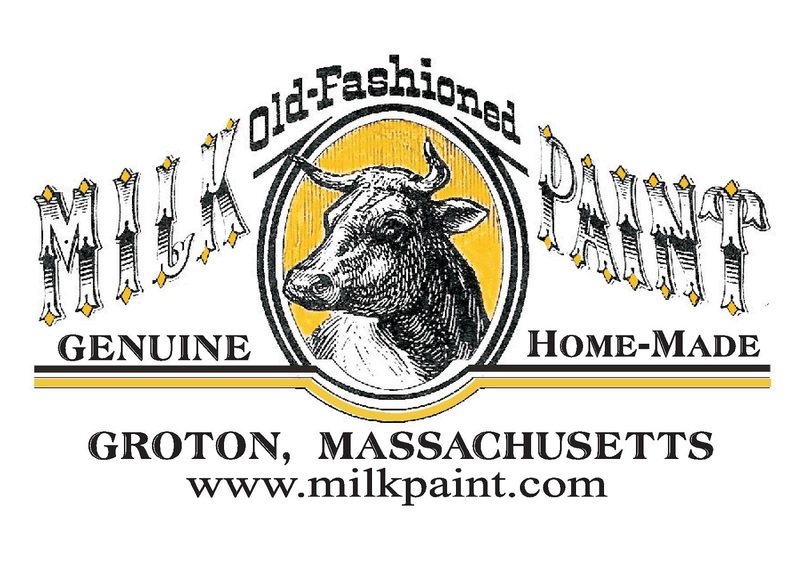 This month's sponsor is none other than The Old Fashioned Milk Paint (OFMP)! 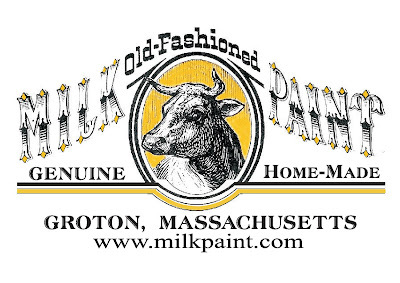 OFMP was the original true milk paint on the market in its modern-day powder form. True milk paint has been around for centuries, though! 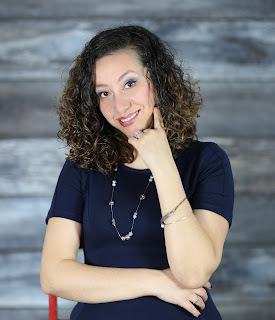 For more on the history and for more info on what it can do, check out this post. 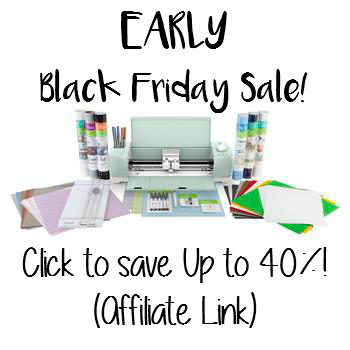 If you are on my little corner of the internet often, then you know it's my favorite paint ever! 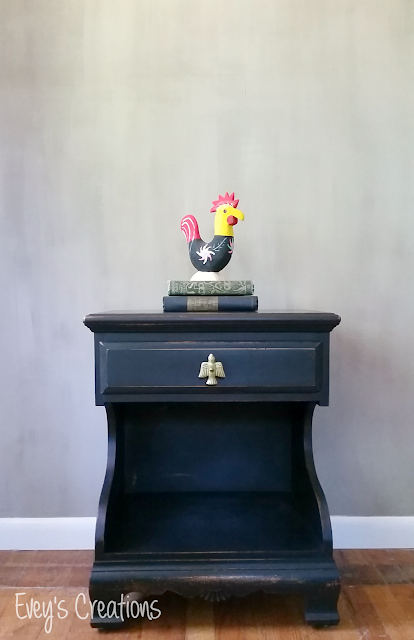 Since this month's theme is "Farmhouse Fun", I just KNEW I wanted to use the color Pitch Black and that I wanted to let the milk paint do what it does best: chip. I found this piece years ago at a garage sale for a song. I knew it was just perfect for what I had in mind. 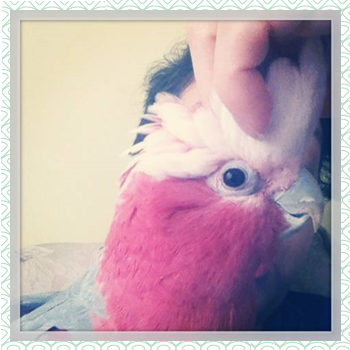 Seriously, the thing was disgusting. After wiping it down, I sanded where I wanted the paint to STICK. The easiest way to control how much milk paint chips is to sand away any shiny finish that may have previously been on a piece where you don't want any chipping. 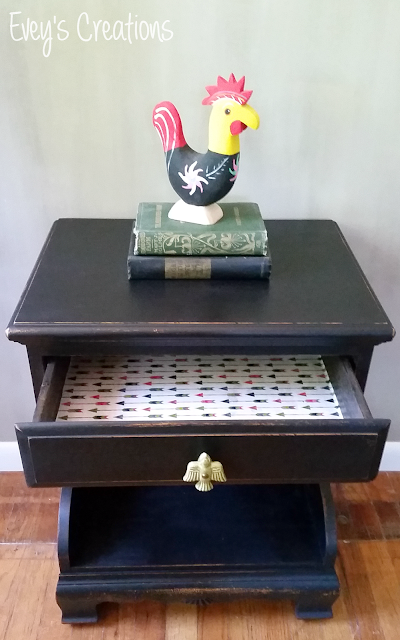 Milk paint was created for porous surfaces, so it will stick like no tomorrow to unfinished surfaces. 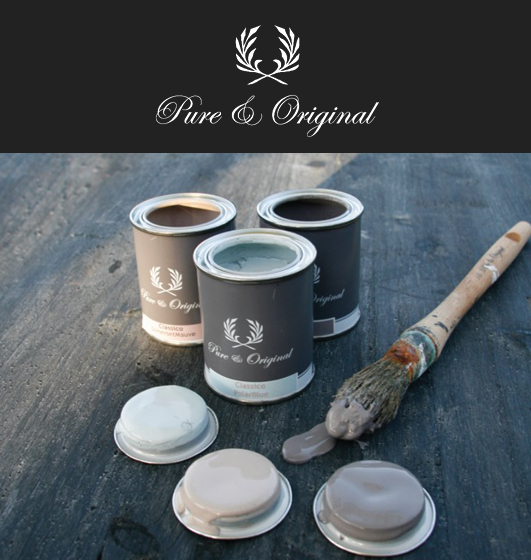 When applied to a previously painted or finished surface, it will lift and chip away as it dries. Basically, the previous finish will act as a resist. If you don't want any chipping at all, you can either sand the entire piece down, or you can add some Extra-Bond to your mixed milk paint. 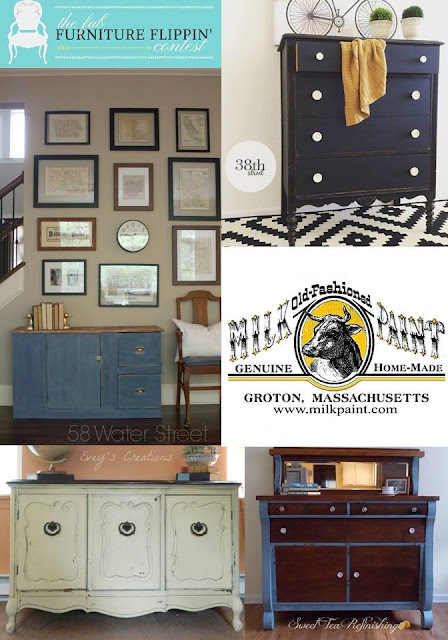 I talk all about milk paint over on my YouTube page here. Make sure you check the video out if you want to see more tips and tricks on how to work with true milk paint. After mixing my milk paint powder with equal parts water, I gave it a few coats of paint, waiting in between coats as they dried. I used Pitch Black, which a true black and just glorious! As expected, it chipped right where I wanted it to, along the edges and bottom where I didn't sand down while prepping my piece. 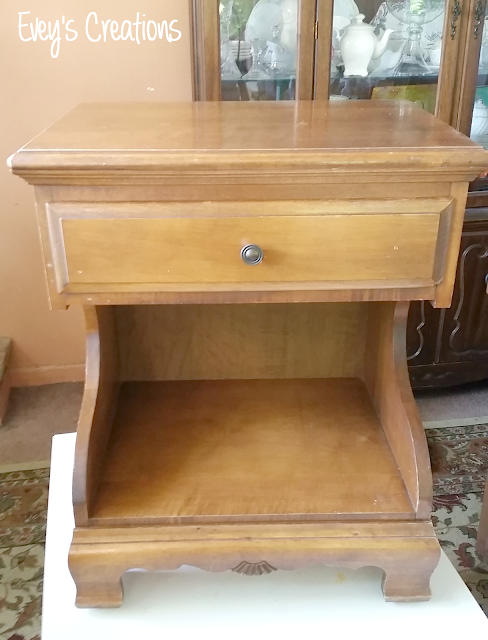 I gave it some more distressing with a sanding sponge and helped the chipping along. Once I thought it had enough distressing and happy chipping, I finished it up with some Daddy Vans All Natural Beeswax Lavender Furniture Polish which you can buy through OFMP. The result was the perfect "Farmhouse Fun" look! To add a bit more to my piece I decided to change out the hardware to a cute ceramic bird and to decoupage some matching paper into the drawer. 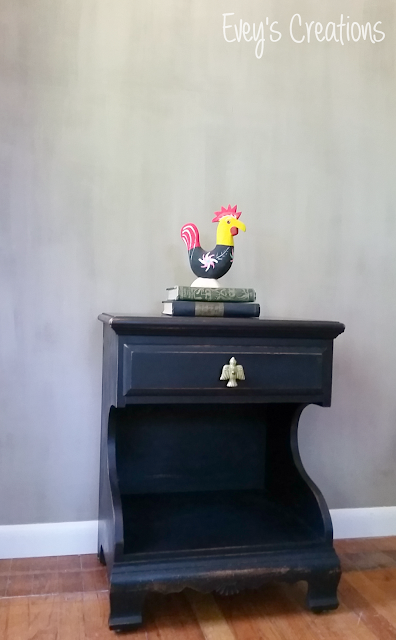 I staged it with a rooster and some vintage books to enhance that farmhouse feel. I'm just smitten with this cute table! If you're curious about that wall behind it, stay tuned. More on that later! Check back throughout the month as our entries come in for more "Farmhouse Fun" inspiration! Good luck to all of the entrants!